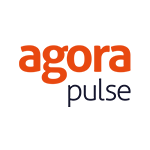 OnlyWire is a social network automation service that automatically posts users’ content to major social networks to promote their brand, products, and services. 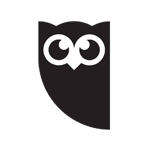 It also allows bloggers and marketers to monitor comments on their posts. In this article, we cover OnlyWire reviews and pricing. Ready to get started? Get a free trial. Users who gave OnlyWire a positive review commended its ability to publish content on different social media accounts with just a click of a button. They also liked that they can choose which particular social media account to share posts to and get messages across multiple platforms. One user who gave OnlyWire a positive review on TrustPilot said that its interface is easy and user-friendly. She added that it is a good service for busy owners involved in multiple organizations because it allows her to conveniently publish content to all her social media accounts. Users who gave OnlyWire a negative review complained about the customer support’s inefficient way of dealing with complaints about the system’s failure to auto-post to some social networks at times. They added for the price of the product, the connection is sometimes unstable. They also noted that it does not support image sharing. One user who gave OnlyWire a negative review on TrustPilot complained that its connection to some social networks frequently fails with no explanation. He added that customer support is variable and that direct response to some support tickets may not come or may take a while. OnlyWire pricing is based on two paid subscription plans: Pro (starts at $9.99/month) and Enterprise (starts at $99/month). The main differences between the plans include the number of posts per month, users, social profiles, and automation sources. Both plans feature analytics, live support, and unlimited scheduled posts. Ready to get started with OnlyWire? Get a free trial. Best Social Media Management Tools 2019: Reviews & Pricing: Social media management tools make it easy for you to publish, monitor, and engage with your followers on all your social media profiles from one tool. In order to determine which social media management tools are the best among the hundreds available, we considered the most popular choices, the most helpful features, and the various social media platforms each tool supports. How do I connect my social media accounts to OnlyWire? Connecting your social profiles is fairly simple. For Facebook, you will need to go through the standard steps Facebook requires to set who will see the updates Onlywire posts (Me, Friends, or Public). For Twitter, connecting to Onlywire is as simple as allowing its API. LinkedIn also has the standard setup, and you do get a notification that there’s a 25-day limitation of posts, enforced by LinkedIn itself. How does Onlywire auto-post my content? Onlywire performs the auto-posting by connecting the RSS feed from your site and your feeds from social media sites. It also allows users to post updates and place bookmarks. However, it does not support scheduling of the pulled RSS updates, and there is no opportunity to fine-tune posts that go out on different social media sites. 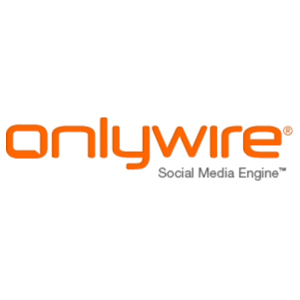 Have you read these OnlyWire reviews and are still not sure if it’s the right fit for you? Read our reviews of all top social media management software or check out one of these three OnlyWire competitors.